As the Christmas decorations went down the back-to-school posters went up. Now the pink hearts, teddy bears and red decorations pop up everywhere in a clever attempt to market and sell love to us. We’re not big on marketing gimmicks or Valentines (last year we spent the day with Jack Parow, nothing romantic about that) but, in the spirit of love and the ones we love we have decided to run a little competition in conjunction with our family members who make the amazing Prince Albert Olives. 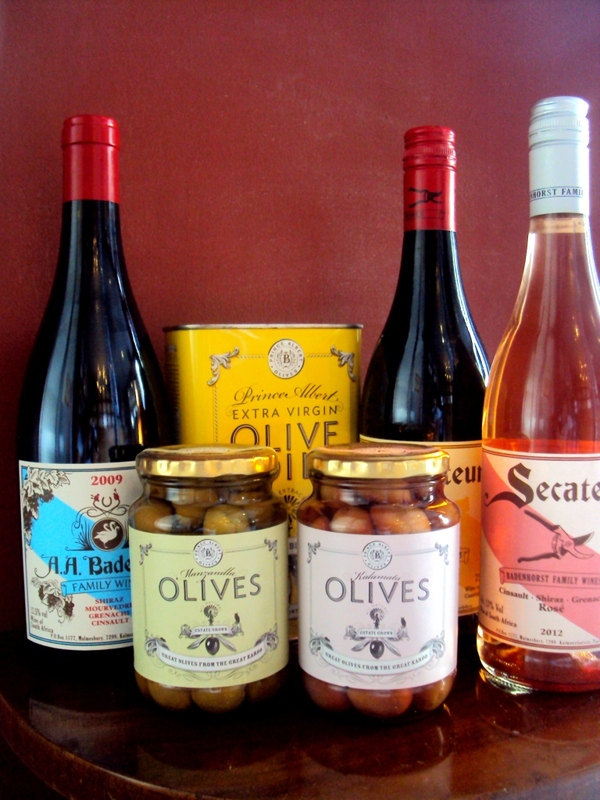 Well, we will give you 2 bottles of Secateurs (Red and Rosé) as well as a Badenhorst Family Red Blend (red and pink wine in theme with Valentines) along with two liters of Prince Albert Olive oil and two pots of their amazing olives (one Manzanilla and one Kalamata). What do you have to do to win that? The classic “follow us” (BOTH @aabadenhorst and @PAolives) on twitter OR like both brands (AA Badenhorst Family Wines and Prince Albert Olives) on Facebook. Tell us what you would cook for your loved one, using PAO oil, and which of our wines you would pair with it. Or write something like that on our walls. *by doing this you give us permission to blog the hell out of your ideas if/when you win. Winner will be announced on Monday 11 Feb in order for us to get the prize to you by 14 Feb.
Go ahead, spread the love. Swing by Melissa’s Food Shop on Kloof Street this Valentine’s Day to see our secret ingredients in action. 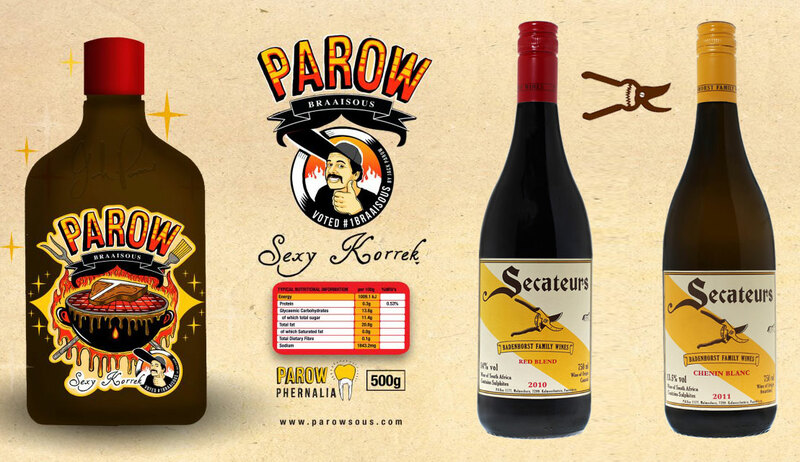 Jack Parow & Adi Badenhorst, our Hairy Beasts, will make your hearts pump meat and wine this lovers day. Join us for a knee buckling lunch where the braai master Jack will show you how to braai for your bokkie, while Adi will whispers in your ear that a spoonful of sugar will make it all better! RSVP to aabadenhorstwine(@)gmail(dot)com by Friday the 10th of Feb if we can expect to see your face covered in JP braaisous.